If you’re in the photography business, the hope is that you’re doing it because you love it. The enjoyment of creating photos will go a long way in helping you build a business and develop products and services that your customers enjoy. Of course, loving photography isn’t what pays the bills! You’ve got to find ways to bring in that green stuff so you can continue doing what you love for many, many years. With that in mind, consider these easy ways to improve your bottom line. Everyone likes free stuff, right? So why not use that to your advantage to draw in more business? By sending a personalized gift to past clients, you not only remind them of the great photos you took of them in the past, but you also open the door for booking more sessions with them in the future. 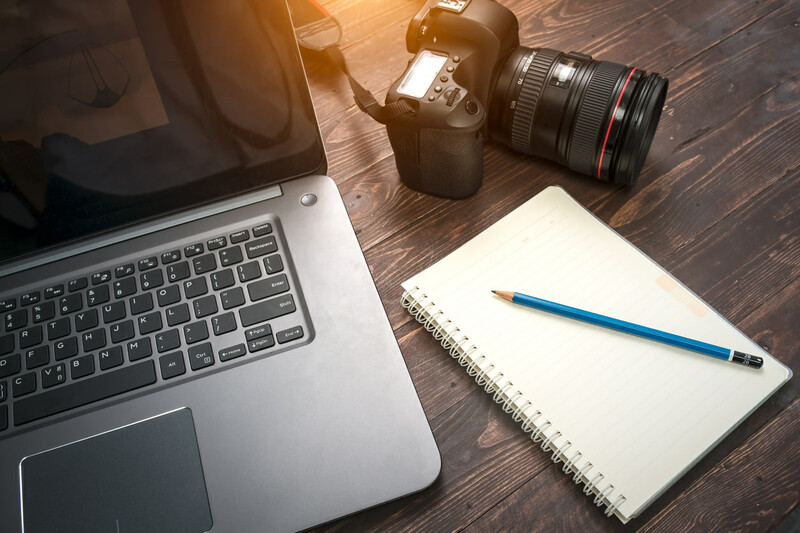 Giving them a reminder of the top-quality work you do can only help your cause; after all, most people go months or years between major photo sessions, so their memory might need to be refreshed about how great your work is. There are tons of options for personalized gifts, but one of our favorites is the line of stunning photo products from Hanging Branch. Hanging Branch offers photo boxes that are made by expert craftsmen to achieve a top-quality product, without a giant price tag. You can send clients a box and put a free print inside, a box with a personalized engraving on the front, a box with a customized flash drive inside, or combine all three together into one incredible gift. It’s a unique item that is sure to leave your clients impressed! After all, presentation is everything, and with Hanging Branch, the impression you leave with be the best one possible. What’s more, personalized gifts are a great marketing tool. 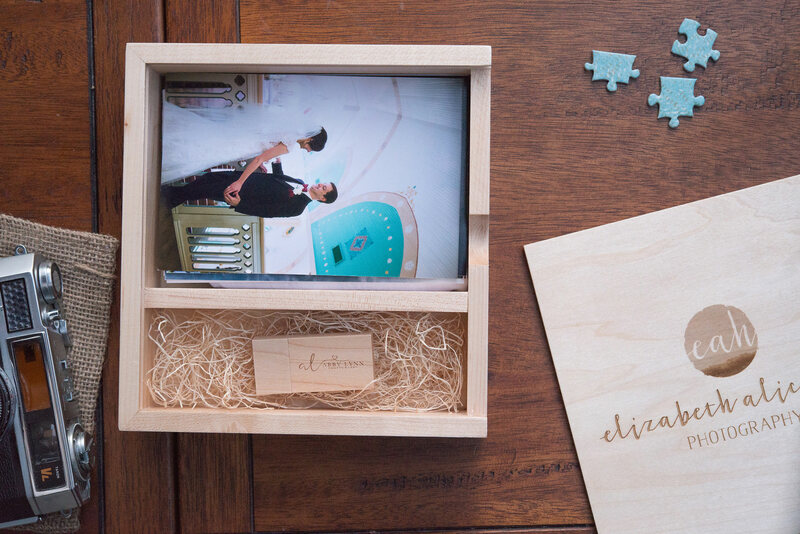 Rather than having a personalized engraving made for the photo box you send, you can instead have your business name or logo engraved on the box or USB. The craftsmanship is of such a high quality that people are bound to inquire where your clients got such a lovely gift. And, when they say it’s from you, you have instant marketing and positive word of mouth. That’s not a bad deal! Better still, items from Hanging Branch can be used as part of the packages you offer. For example, why not include a personalized photo box as part of your wedding photography packages or add a personalized USB to your senior portrait packages? You could also boost your sales by having a host of Hanging Branch products on display in your studio or office space, so your clients can see and feel the high-quality products, making them more likely to add them to their photography purchase. Check out Hanging Branch today to see how their line of top-notch products can help you generate more business for yourself and set your brand apart from all the rest! There are a number of “enemies” to your bottom line, one being small holes in your schedule during which you don’t have time to do a full shoot, and another being customers that might not want or need a full session, but don’t call you because they don’t want to pay for something they can’t afford. You can kill two birds with one stone by offering mini photo sessions! If you have, say, two hours free one day next week, put it out there on social media that you have time for 3-4 mini sessions at a reduced rate. Rather than paying a $500 fee for a full session, perhaps people would be willing to pay $150 for a shorter session. What’s more, if you make long-term clients out of people that take advantage of a mini session, you’ll have more revenue down the line as well. Not only can you use mini sessions to fill up your schedule, but it also allows you to diversify your products and services to meet more budget or time-conscious clients. What’s more, mini photo sessions are great for getting existing clients to come back for more - rather than just hiring you for a full session during the holidays, they might be inclined to also hire you for a mini session for their child’s birthday, grandma and grandpa’s anniversary, and so on. Every single person that comes through the door and hires you to take their photographs is a gold mine of future revenue. As such, one of the easiest and most practical ways to improve your bottom line is to ensure that you have their contact information stored in a database for future reference. Whether your marketing materials include monthly emails, quarterly newsletters mailed to clients’ homes, well-timed phone calls around the holidays, or all of the above, having each client’s contact information is essential to your future success. Think about it this way: If you’ve been hired for an engagement session, it’s not good enough to say, “Hey I’d love to shoot your wedding!” Instead, you need to get the client’s contact information so you can keep in touch (and maybe send a free gift!) to make it more likely that you’ll be hired for the wedding. Then, a few months after the wedding, why not send a quick email asking how the couple’s new life is going and remind them that you are available for holiday photos? It’s an easy way to earn more money from more of your clients more often. With that, you have three solid ideas for improving the revenue for your photography business. 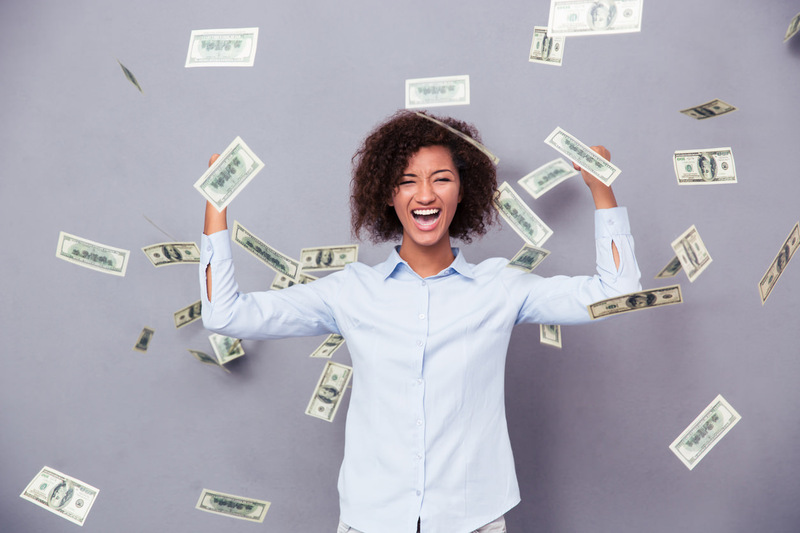 Whether you send a thoughtful gift from Hanging Branch, offer budget-friendly mini sessions, or simply use your client database to drum up more business, each of these revenue-generating ideas will be easy to implement, with many rewards to reap as a result.